Providence, RI. Sunday, March 24, 2019. 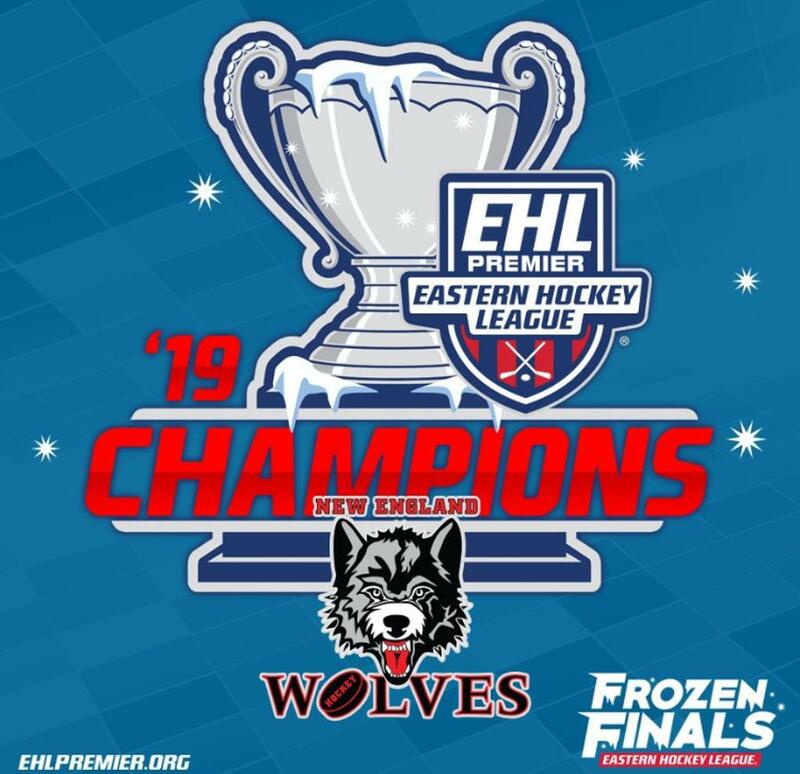 With a strong fan showing of Laconia faithful in attendance, the New England Wolves defeated the Philadelphia Little Flyers 4-2, to win the 2018-19 Eastern Hockey League Premier Championship. 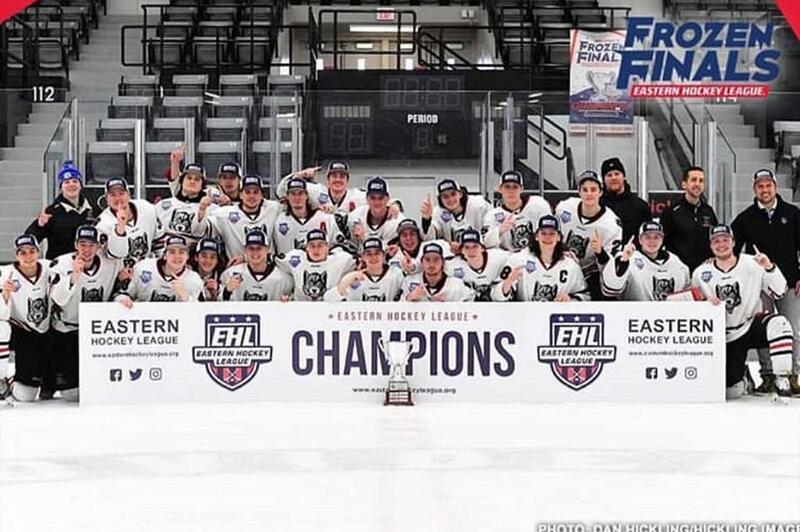 Held at Schneider Arena on the campus of Providence College, the EHLP championship pitted the Southern Conference Champion (Little Flyers) versus the Northern Conference Champion (Wolves) in a 1 game, winner take all showdow. 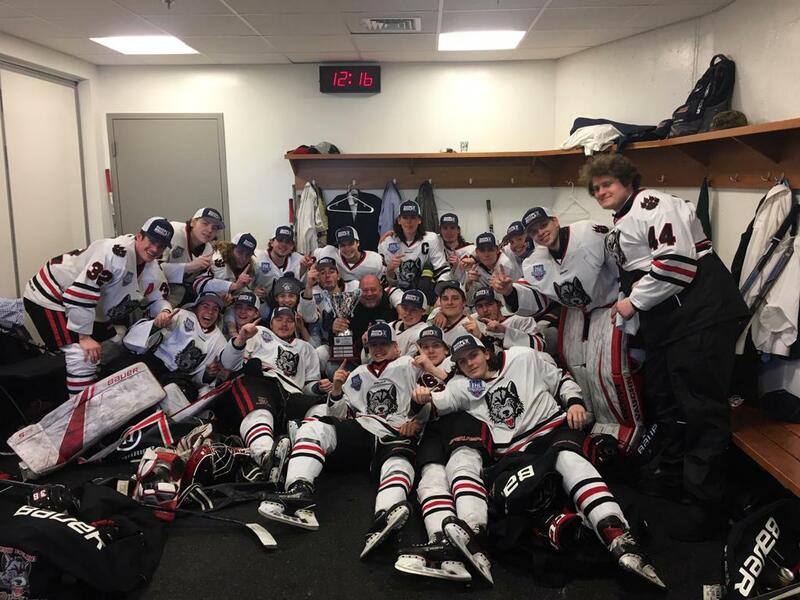 The Wolves had swept the CT Chiefs and Boston JR Rangers in earlier series to earn the championship final appearance. In period 1, Wolves Captain Jack Johansen scored first. 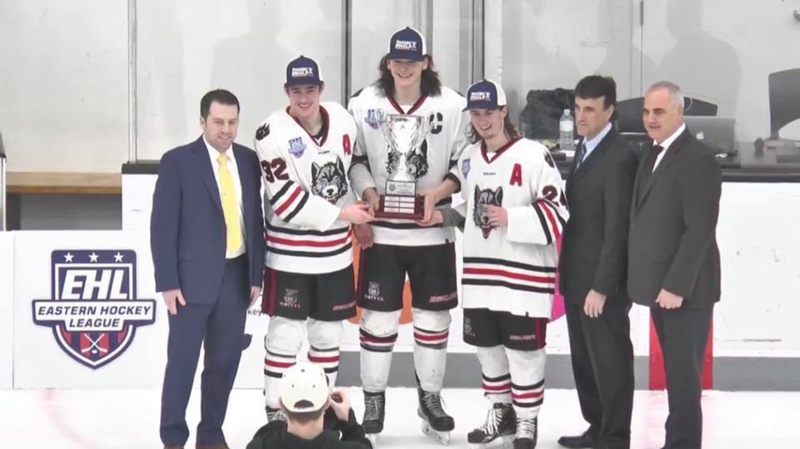 The 2000 birth year defender from NH, was awarded “Defenseman of the Year” in the EHLP earlier this week. In period 2, the Little Flyers took the lead, 2-1, but the Wolves would not be deterred. 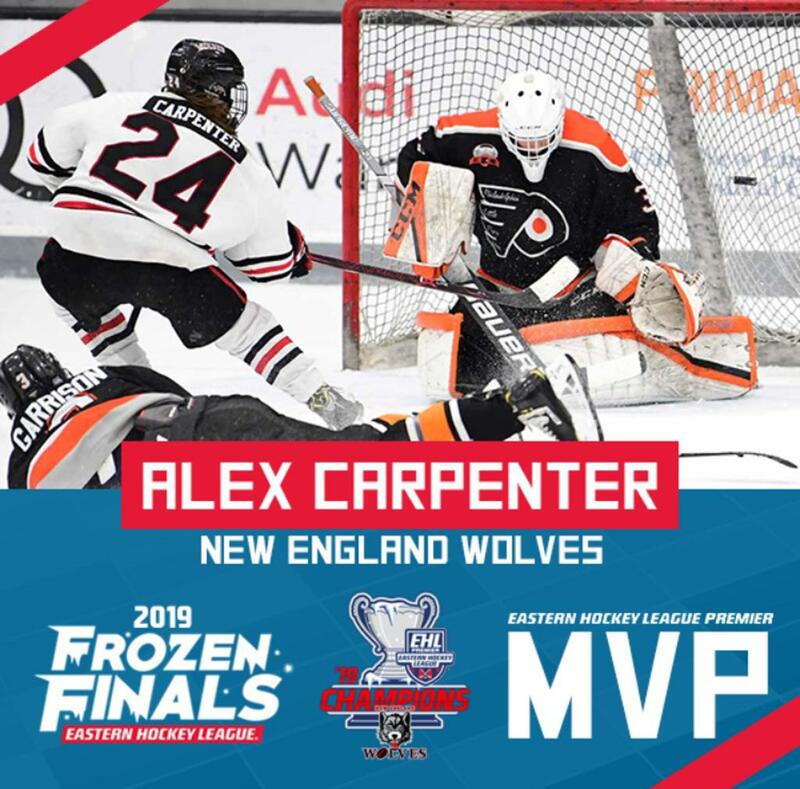 In period 3, Herbert Ziebots tied the game at 2 mid-way through the period, before EHLP Finals MVP, Alex Carpenter would bury two successive goals, as the Wolves would claim the 4-2 victory. Ryan Fueg was stellar in nets again, earning his 5th victory of the post- season.